reopened in December, 2009. 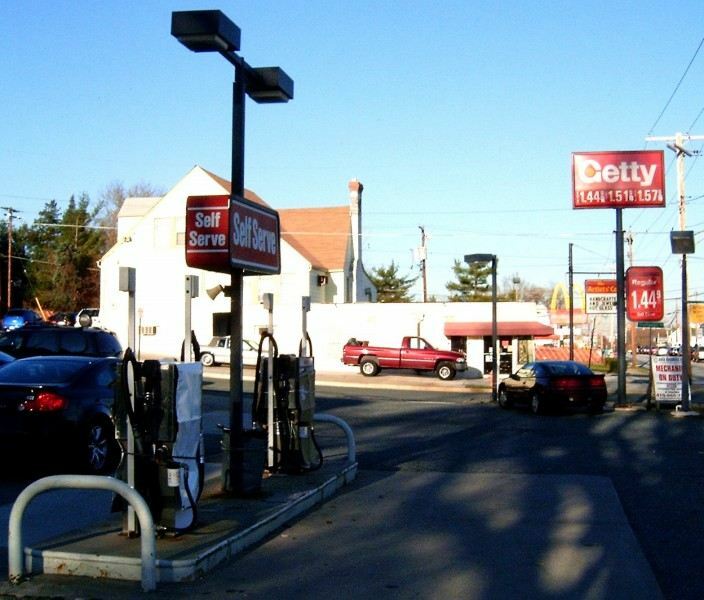 Station is at 666 Saw Mill Road (NY 9A). Photo taken Dec. 8, 2009 by Jeff Alterman. 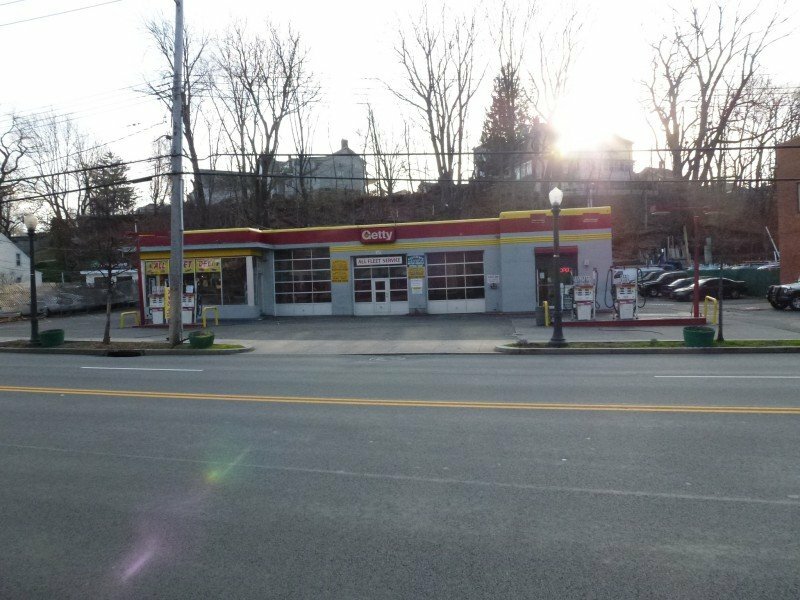 Another shot of the reopened Getty station at 666 Saw Mill Road in Yonkers, New York. 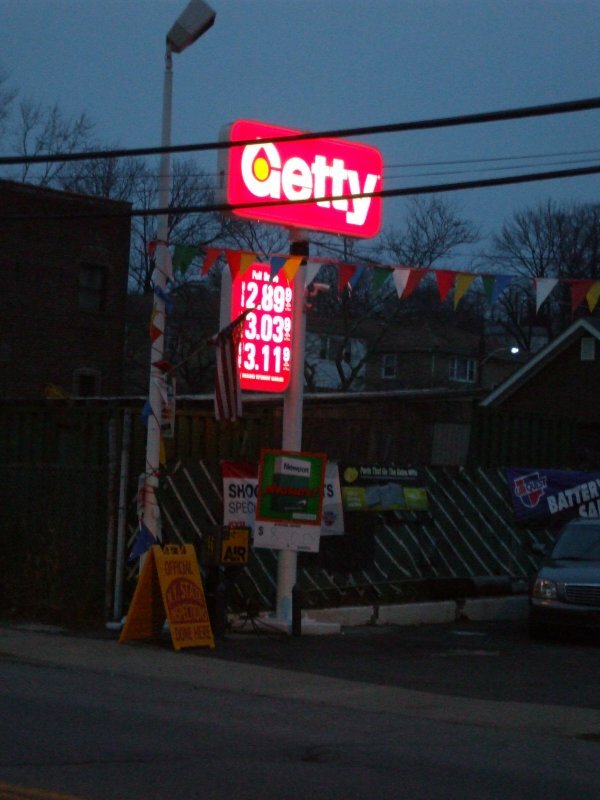 A Getty station in Sleep Hollow, New York, taken January 1, 2012. Photo taken by Jeff Alterman. 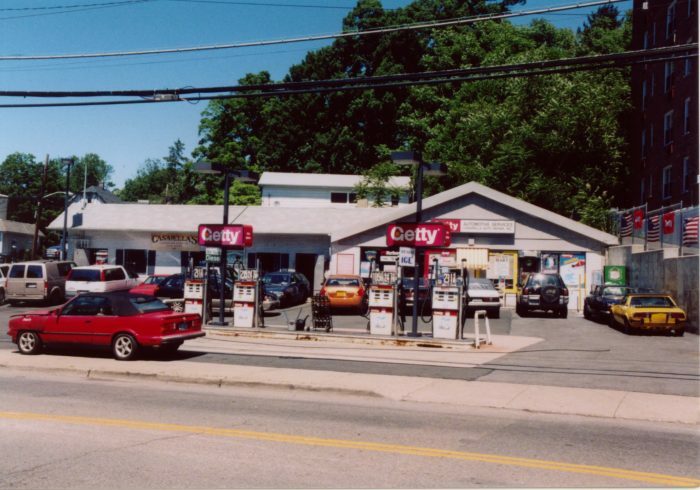 Overall shot of the Getty station in Sleepy Hollow, New York. Photo taken Jan. 1, 2012 by Jeff Alterman. 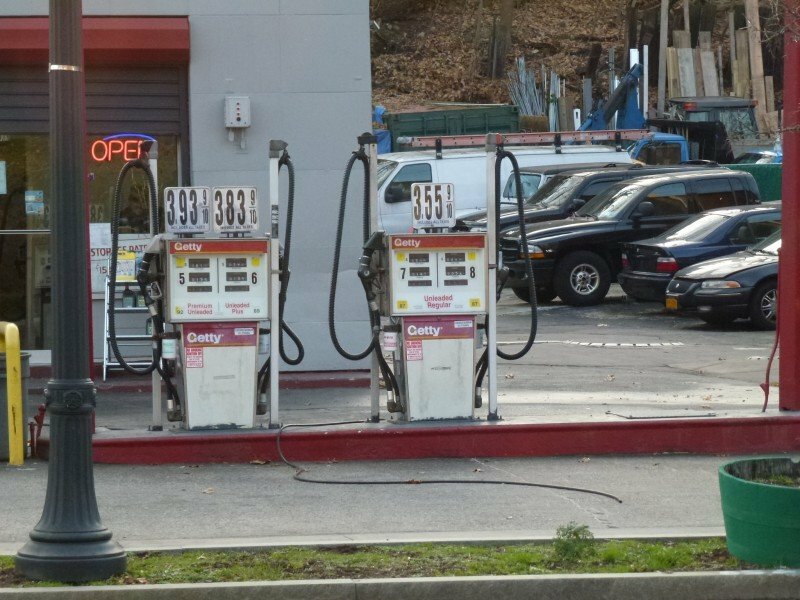 Close-up of the pump area at the Sleepy Hollow location. 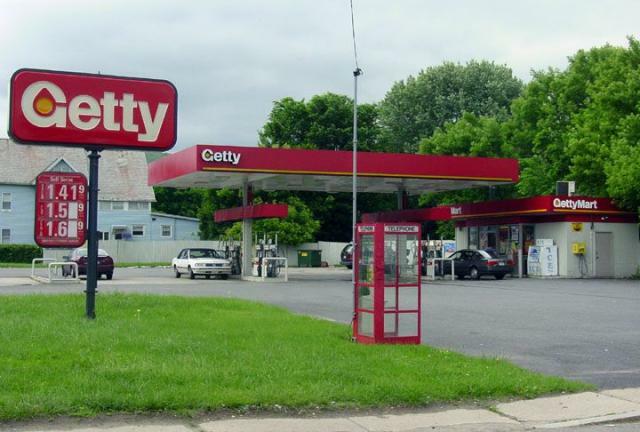 Getty station on Warburton Avenue in Hastings-on-Hudson, New York. 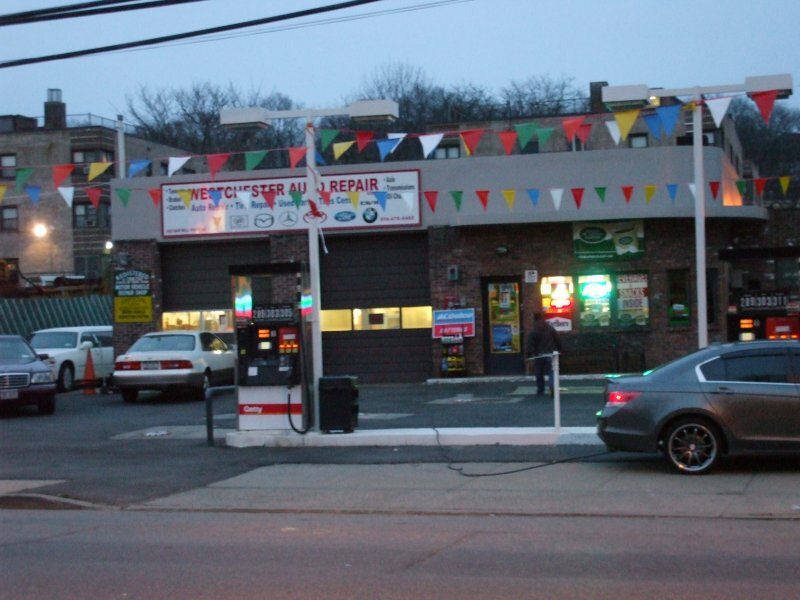 Also known as Straub's Auto Repair. 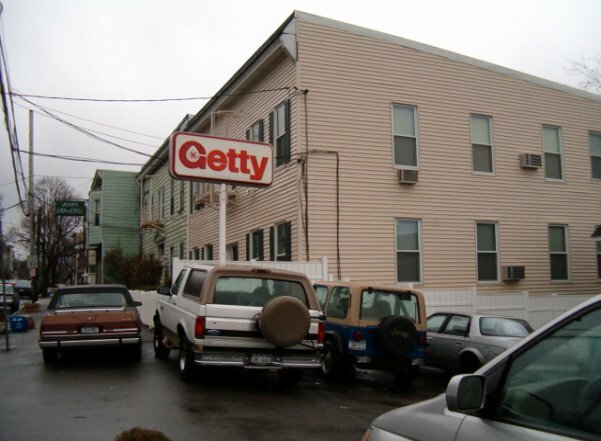 Note this is the older sign with the atomic logo inside the G.
Photo taken March 23, 2004 by J. Eric Freedner. Hastings-on-Hudson, New York. 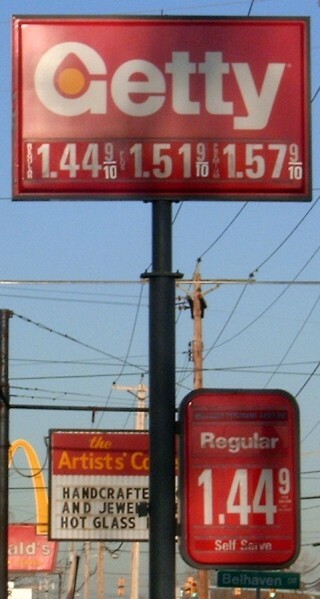 Taken March 23, 2004 by J. Eric Freedner. 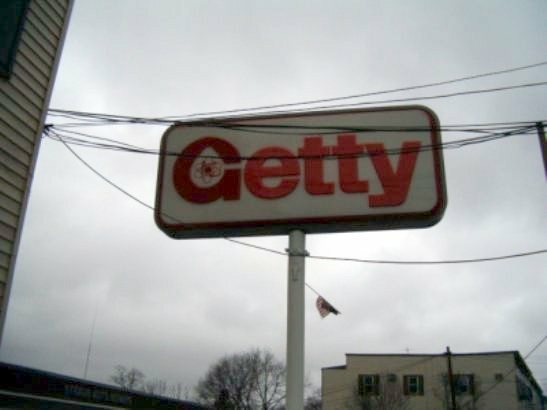 A Getty station on East Hartsdale Ave. in Hartsdale, New York. The station building looks like a large ranch style house. 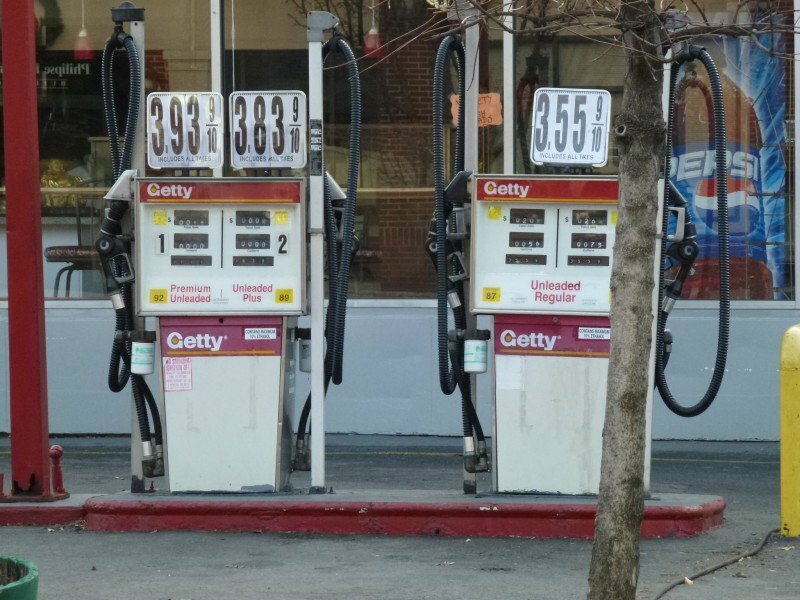 It is one of the few remaining gas stations that have mechanical gas pumps. Taken by Jeff Alterman on May 29, 2004. 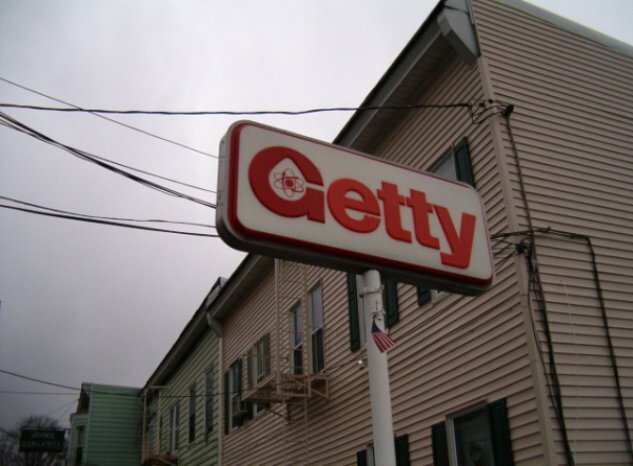 Two shots of a Getty station in North Adams, MA on Massachusetts Route 2. 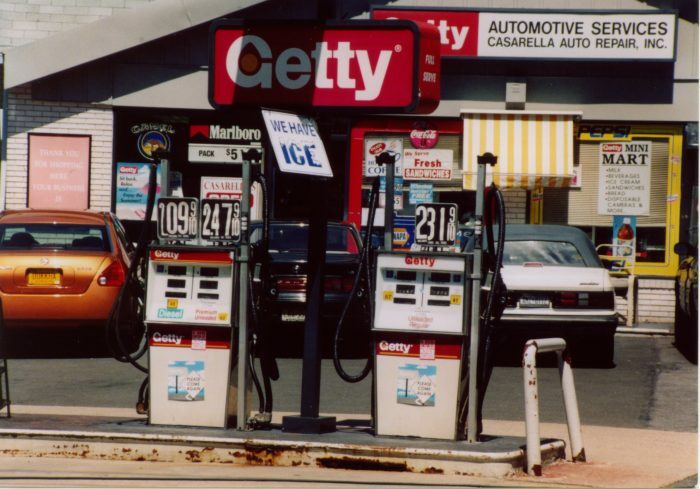 Taken in Summer of 2003 by Alan Dunlavey, age 9. 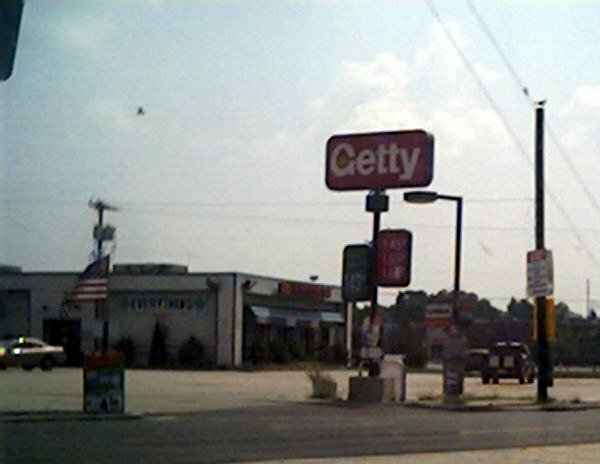 Two shots of a Getty just north of Baltimore, MD on US 1. Taken Nov. 2003 by Robert Droz. 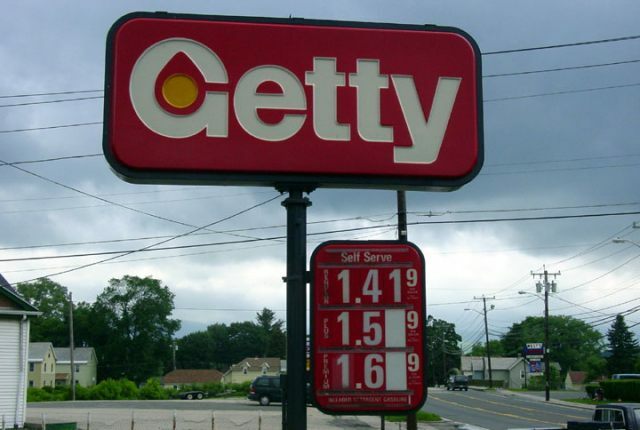 Getty station on U.S. Route 322 about 15 miles north of Atlantic City NJ. This station is next door to a Riggins station I sent separately. reversed logo, with white letters on a red background. 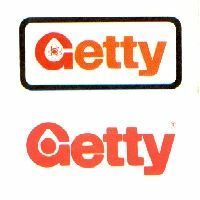 Getty stations (no bathrooms), and the canopy. 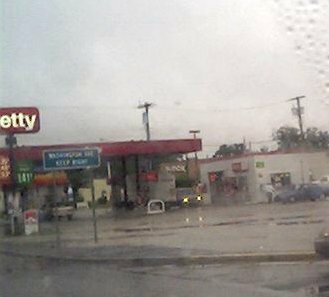 The second photo shows the sign.